Anxiety goes by many names – social anxiety, panic attacks, generalized anxiety disorder, short term anxiety, and even negative thoughts. No matter what you call it, it can cause distress in all areas of your life. Relaxation techniques and therapy sessions don’t always work for everyone. And some anti-anxiety medications come with side effects that are worse than the condition. If you want a drug-free anxiety treatment that can help you reclaim your confidence and feel like yourself again, Alpha-Stim might be your solution. Sometimes you need a safe, scientific, drug-free, proven anxiety treatment. 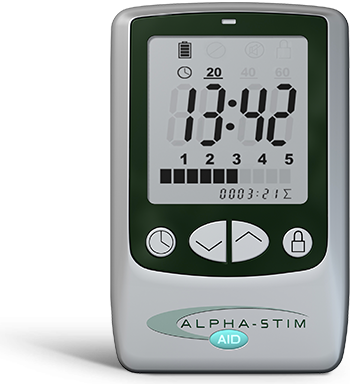 Alpha-Stim is an FDA-cleared prescription medical device that fits in the palm of your hand. People use it at home or at work and it takes just 20 minutes to 1 hour. It uses cranial electrotherapy stimulation (CES), a method that’s proven to provide immediate and lasting anxiety relief. Anti-anxiety drugs can be harmful, but there is another solution. That’s enough to make anyone feel stress! But medications aren’t the only scientific way to treat anxiety symptoms. Stress management techniques can help in reducing anxiety, but sometimes those aren’t enough. Survey shows patients using Alpha-Stim anxiety treatment get better results than with drugs for anxiety relief. 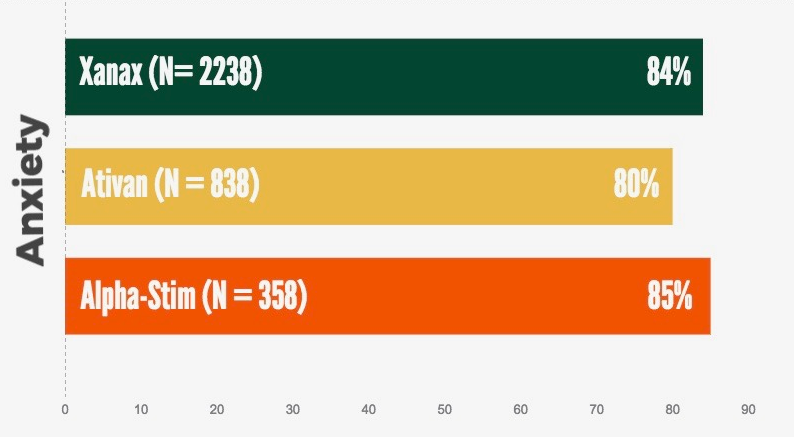 So Alpha-Stim has proven to provide better results than medication and without the side effects. What is CES anxiety treatment and how does it provide anxiety relief and stress relief? Every single mood and emotion you experience – including anxiety – is controlled by electrochemical signals in your brain. For the most part, the medical profession relies on medication for anxiety treatment, but taking drugs is not the only path to relief. What if we focused on the electro part of electrochemical instead of the chemical? What if we found a safe and drug-free anxiety therapy that works with your brain’s electrical and electrochemical signals? There is such a thing, and it’s called cranial electrotherapy stimulation (CES). Increasingly, medical experts recognize the Alpha-Stim CES device as an effective, anxiety treatment without medication and without the risk of addiction. We use a mild microcurrent similar to the type and amount of electricity naturally occurring in your brain. The microcurrent is tiny, just millionths of an ampere, and so gentle that most people don’t even feel it. The device transmits the waveform through small clips on your earlobes that send a microcurrent through the brain, modulating specific groups of nerve cells. This leads to significant stress and anxiety relief, and mood normalization. It takes about 20 minutes and you can do it in the comfort of your home. Most Alpha-Stim users notice an immediate reduction in anxiety and an increased feeling of wellbeing from their first treatment. Unlike drugs, there’s no way to develop a “tolerance” for CES, so there’s never a need to increase dosages. The benefits of CES technology are cumulative. Each treatment builds on the progress of the last. In that way, it will relieve your anxiety for longer periods, so you may find you need less frequent Alpha-Stim treatments after the first few weeks. But don’t just take our word for it, check out the clinical research studies that back it up. 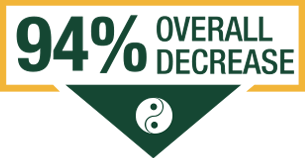 I have had previous experience with other electrical stimulators and, although their success has been encouraging, the healing currents available with the Alpha-Stim provides a whole new horizon for healing. After two long years of anxiety and depression, I can honestly say that I feel 100% better! With Alpha-Stim, I have a long-term treatment option that improved my anxiety symptoms with no side effects—this is exactly what I was looking for, and it’s at a price way below a lifetime of medications. 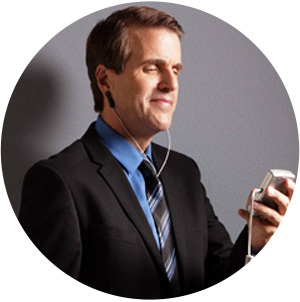 Because of my own personal success with Alpha-Stim, I would highly recommend it to anyone who desires to be free from anti-depressants and sleep medications. I’d like to report that I am delighted with Alpha-Stim! 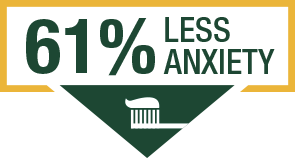 I have taken control of my anxiety levels, and there has been a noticeable difference in my well-being since I started using it. I have had a panic/anxiety disorder for about 8 years; therapy and medications helped, but it wasn’t until using Alpha-Stim that I finally feel under control. I can’t begin to tell you what a difference Alpha-Stim has made in my life! When I feel an anxiety attack approaching, I can immediately use my Alpha-Stim and get relief faster than taking anxiety medicine. I am very pleased with the performance of the Alpha-Stim in relation to my Office Manager’s depression and anxiety. Because of her success, I’m using the Alpha-Stim on my clients that experience depression and anxiety as well as insomnia. Not only have I experienced relief from anxiety and insomnia; additionally, Alpha-Stim treatments have reduced or eliminated accompanying physical pain. I have been so impressed with the effectiveness of this instrument in alleviating the depression and anxiety I have experienced over 35 years. Winick RL. Cranial Electrotherapy Simulation (CES): A safe and effective low cost means of anxiety control in a dental practice. General Dentistry. 1999; 47(1):50-55.